► At the home of British horse racing! Ever been on holiday in France and admired the smooth tarmac and well maintained roads? Well perhaps our neighbours have finally clocked the terrible quality of British roads - they've been caught testing the new Renault Kadjar over here. Eagle-eyed CAR reader Graham Duce spotted the new crossover out and about in Newmarket, Cambridgeshire - the home of British horse-racing. Don't apologise, Graham. The Kadjar might have already been unveiled, but this is still a revealing spot and one worth sharing. 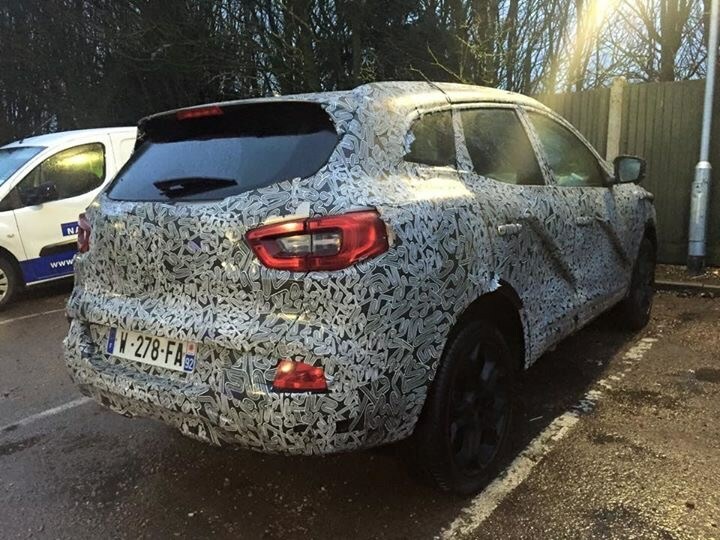 Why is Renault testing the Kadjar in the UK? We've put the question to Renault UK and officials have confirmed that head office is testing future products all over Europe, including in Great Britain. 'It’s a new strategy to test new models in more European countries,' a spokesman told CAR. 'This started with the all-new Espace which was also tested in the UK.' Which is ironic, as the new MPV won't be sold here in right-hand drive. Remember you can share your spyshots and interesting four-wheeled observations by following the instructions at the top of the Your Spyshots landing page here.